Get the full list of 25 top places to publish your content. The first place you should always publish your content is on your own blog. It’s how your site gains credibility, authority and traffic, and it acts like a central fulcrum for the rest of your content marketing. I always recommend too to published a Featured Image for each post. You can of course see examples not just on this post, but on every other post on this blog. For your Featured Image, repeat the blog post’s title, and try including your website’s domain name as well, for example via your logo. To be able to promote your post on Facebook using their advertising options, keep any text on the image to no more than 20 percent of the image. Use their grid tool to check. Whenever you publish on your blog, send an update to Facebook. Use some teaser text, for example, the first paragraph or so, and then link back to your post. Incorporate an image from the content – for example, your blog post’s Featured Image – to maximize engagement and attract as many eyeballs as you can. 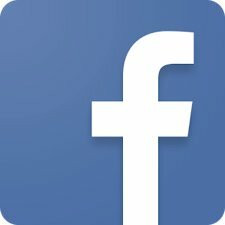 Organic reach on Facebook is now limited, so for more exposure and traffic try promoting the post. Increase your return on investment by providing ample opportunity on your blog for people to opt-in to your list. While organic reach is limited, publishing your content regularly on Facebook gives you more credibility as a business, and also boosts your options to further market your business. For example, an active feed helps you build up a healthy following that boosts your credibility levels. You can then advertise to your Likes, to their friends and followers, and gain insights on the characteristics of people in your marketplace. Whenever you publish new content, send out updates on Twitter. Don’t be shy about it and make the mistake of sending out a single Tweet. Tweets are very fleeting and will be seen by only a small minority of your audience at any one time. To fully capitalize on your content, you need to send out multiple Tweets over a period of time – for example, 6 Tweets over so many weeks. Each Tweet can focus on a different aspect of your content, and even use varying hashtags as applicable. You’ll catch different segments of your audience at different times, and maximize the potential for traffic from your Twitter account and following. 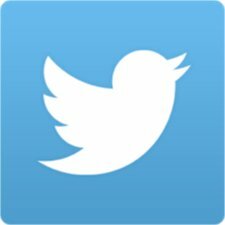 Try using Twitter’s advertising options to reach a wider audience as well as of course building your followers over time. Similar to Facebook, update your LinkedIn feed giving a brief synopsis or teaser of your new content, and a link for people to follow. Unless you’re building a personal brand, you will generally do this through your business’s Company Page on LinkedIn. It’s generally more applicable if you sell business-to-business (B2B) rather than business-to-consumer (B2C), though can still work well if you’re more B2C but target more affluent professionals. You can use LinkedIn’s sponsored update capabilities to give your content more exposure. Boost your exposure on search – your posts themselves can appear in the SERPs. Increase your individual authority as an author, leading to ranking improvements for content you have created. Increase Adword click-through, by building credibility through an ad extension that shows how many Google+ followers you have. Yes, it’s a lot smaller than mega-networks like Twitter and Facebook, but because of Google’s overall reach, you have more potential touch points and traffic channels. SlideShare, owned by LinkedIn, is in the top 200 most popular websites in the world, and a much under-used resource by business owners and marketers. Create a presentation using software like Powerpoint, Keynote or Google Presentations, upload to SlideShare, and start siphoning off some of their traffic to your own website. For example, simply base a presentation off your blog post, and include a call to action at the end that links back to you. As an example of how this can benefit you, I’ve had hundreds of views of SlideShares over the course of just a few weeks (follow vWriter on SlideShare). Let’s say you’re publishing to your blog weekly, and creating and uploading a presentation to SlideShare based on each one. A year’s worth of content would give you 52 SlideShares, and assuming an average 100 views per SlideShare a week, ongoing exposure to an audience of 5,000+ every week. Embed the SlideShare back on your blog, potentially reducing your bounce rate and boosting your search engine ranking. Use the SlideShare as the basis for a video that you can now upload to YouTube and Vimeo. Here’s how to repurpose your blog post as a SlideShare presentation. YouTube is of course the world’s second largest search engine in its own right, and the third largest most-popular website. That means unless you have an active presence here, you are leaving a lot of potential traffic, prospects and money on the table. The easiest way to ensure you have a steady stream of videos published on YouTube is to simply reuse your SlideShare presentation, maximizing the work already put into that. Record the screen as you run through the presentation, and either provide a voiceover or backing music. Ensure you create your own channel on YouTube on which to publish the videos (follow vWriter’s YouTube channel). By building subscribers to your channel, your videos will increase in authority (and ranking) over time. Essentially, it’s an investment in your business for the future. Here’s how to repurpose your blog post into a video. Upload the same video to Vimeo for increased exposure. Medium is a blogging platform with some of the viral power of social media added on top. Here’s how to publish your content on Medium, together with 15 tips for using it effectively for business purposes. Medium attracts millions of visitors a month, and has hundreds of thousands of users. 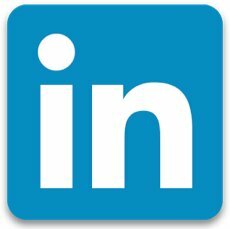 Part of LinkedIn, Pulse is a sort of high quality article directory that taps into LinkedIn’s social networking reach. When you publish on Pulse, your own LinkedIn followers are notified and your content shows up in their feed. Because of the traffic it can deliver, it’s sometimes referred to as the “content marketer’s ‘secret weapon’”. By following an integrated content marketing strategy and building up your LinkedIn followers, your results through traffic channels like Pulse start to multiply. For example, it’s not uncommon for posts on Pulse to attract thousands if not tens of thousands of views within just a few days. Here’s how to publish on LinkedIn Pulse. See an example of one of my own articles on LinkedIn Pulse. If you’re wondering how to use Pinterest for your business, you can start by simply pinning the Featured Image for your blog post each time you publish. 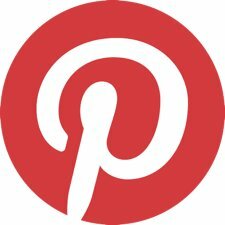 Pinterest offers more engagement than Facebook for example, and a user base that is far more inclined to spend money and make purchases. No, you can’t go along and submit your image to Google Images. But they will spider your blog for example, find images naturally such as your post’s Featured Image, and then list them in Google Image search. This of course increases your exposure to Google’s massive user base. How do you use this for traffic? Use your keywords in the name of your Featured Image, and other images as applicable. Send Button, a photo by Colourful.Threads on Flickr. If it’s traffic and exposure you’re looking for, remember to keep in touch with your list! A great way to do this is to publish a regular ezine, and let them know about new content you have created. This keeps your subscribers coming back to your site, and allows them to get to know and trust you, vital in order to ‘make the sale’. 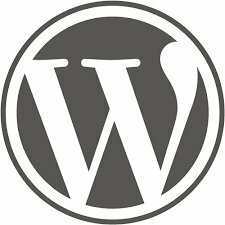 You could for example publish some teaser text from your post, and link back to your blog where they can read the full version. Try including some links to archived posts too. People who don’t have an immediate interest in your latest content might instead be interested in what you posted previously. For more information, see the related post, How to Improve Your Email Marketing By Leveraging Content. Many blogs regularly publish content from guest contributors. Make a list of blogs in your niche, and check what their policy is, either on the site directly or by contacting them. If contacting them, include some links to previous content you have written so they can judge your writing ability and the quality of the content. This can give you a lot of exposure to whole new audiences, as well as increased credibility when for example you are published on a popular blog. Don’t solely focus online. There are valuable opportunities offline too. For several years for example, I had content regularly published in a couple of printed newsletters from other businesses that went out to paying subscribers. Opportunities like this might not appear immediately, but certainly can do so as you build your credibility by publishing content regularly and widely. You can also start to reach out to potential publishers and see what the opportunities might be. Ezines in most niches are regularly looking for content they can publish. For example, I’ve often had content published in ezines going out to hundreds of thousands of subscribers. All I did was submit an article to them to see if they wanted to publish it. You can either build up your own list of potential ezine publishers who might be willing to publish your content, or use a service like SubmitYourArticle.com which sends articles out to a list of over 700 such publishers on your behalf. Check out forums within your niche – i.e. those that serve your marketplace – and try posting your content as useful information for people that frequent them. This works best when you actively participate in the forum in other ways as well. In your signature, you can usually link back to your website. However, it’s best not to try ‘selling’ through this approach and simply offer further information. For example, more in-depth information in the form of your blog post, or a related report, video series, ebook or some other lead magnet someone can opt-in to receive. Presuming you are publishing content on an ongoing, consistent basis, you will have no end of content you can then periodically compile into ebooks – or even printed books – that can then be sold or freely given away on Amazon. 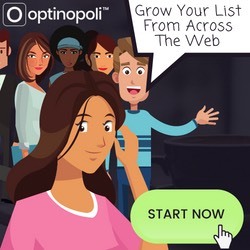 As with other web sites on this list, you are taking advantage of a site that already has a lot of authority and a ton of traffic, and siphoning some of that away for your own advantage. You can use Instagram to again take advantage of the Featured Image created for your blog post (see 1. above), and use it to increase the exposure for your business. 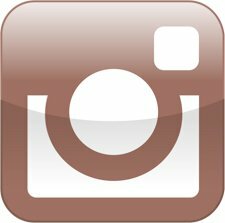 Instagram is a very popular, purely visual platform, predominantly for mobile users. It has a similar sized user base to Twitter, with around 300 million. Engagement levels are much higher than Facebook, as there is no algorithm that reduces the number of posts that appear in your feed. Here’s a recently-published guide to building your own Instagram community, with some interesting ideas on what to post and how to attract traffic back to your site. In terms of Instagram’s demographics, and whether this platform is suitable concentrating on for your business, the majority of users are under 30 and female. As well as video content, it doesn’t take much to translate written content into audio form as well and start producing a regular podcast. You could even scrape the audio from the video created in 7. above, and use that. Podcasts can also be based on video, not just audio. So the videos you regularly publish to YouTube could easily, and quite simply, form the basis of your regular podcasts. 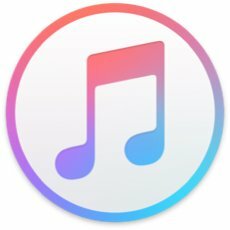 Once you have your podcast, you can promote it via iTunes, along with other podcast aggregators, your own blog, email list and social channels, and reach brand new audiences who again would have never otherwise found you. Here’s a list of tips on growing your podcast audience. 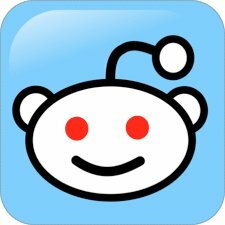 Look for subreddits related to your niche, and post your content accordingly. Subreddits can have thousands of users. Keep the content on your own blog unique, but you could for example post the same version of the content that you have posted to article directories and/or LinkedIn Pulse. Try linking back to your site using say a ‘recommended’ section at the end of your post where you link back to a couple blog posts, or link through to a page offering a suitable lead magnet. Different subreddits have different rules, so be sure you’re aware of what they are and post accordingly. Otherwise your content can be downvoted and effectively disappear, or your profile blocked from further posting. In terms of Reddit’s demographics, the vast majority (80%) are between 18 and 35 years old, and male. So if that’s a good fit for your business, it may be worth spending some time here. Tumblr is a social networking site and microblogging platform, and one of the top 10 websites in the US. It’s reportedly more popular among under–25s than Facebook. You can potentially use it in combination with your blog by publishing excerpts and pictures from your post on Tumblr, and then linking back to the full post. Generally, it’s very visual, and your posts need to be visually-appealing to get attention. Its user base is predominantly 18–34 years old, with the majority now actually over 25. It won’t be suitable for all businesses, but if your market fits its demographic, it has a lot of potential to increase your online visibility. 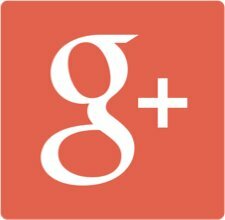 Why include Google – i.e. their web search – on a list like this? Simple. I included Google Image search, and it’s even more important of course to ensure your other content shows up on Google’s web search too. While control over your ranking is limited, influence over your ranking isn’t. The more you can build your authority by publishing content around the web and following all the suggestions in this list, the more that authority will grow and the better your content will generally be ranked. It’s also about using keywords to ensure your content is properly optimized. That doesn’t mean trying to artificially manipulate Google into ranking a particular post or web page for a particular keyword. But it does mean providing as much value as you can on a particular topic, and using keywords to help Google understand what a piece of content is about so it can optimize it appropriately. The more value you provide, the more people will stay on your page after clicking through from the SERPs. That can help with improving your ranking over time. Quora is an excellent question-and-answer type website where you can help people out with your expertise and enjoy some quality, targeted traffic as a result. The key is to not just post a sea of self-serving links back to your site, but to genuinely offer value to the community. For example, it wouldn’t be appropriate to post a full-length blog post into an answer. However, you could provide the key points and rephrase them to directly answer the actual question that was asked – and then link back to your post so readers can click through for more in-depth information. The more helpful you are, the more visibility your post will generally get. Answer some questions without linking back at all, just in order to provide value and so that your answers have some balance. You will still get people viewing your profile and coming back to your website anyway. Include your domain name in your profile, so people can find you easily. This is similar to Quora in that it’s a question-and-answer community. However, its users are less sophisticated and educated, and the answers provided are generally far more brief and less authoritative. You can still use it for targeted traffic though, as long as you do so in a careful way. Your account will be banned if you start self-promoting, so instead answer questions in a comprehensive way, and link back to a helpful post for more information rather than to a sales piece. Try answering some questions too without any links just to add some more balance to your overall profile. To add hyperlinks though, you do need to be at Level 2 or above within their community. This means you have to spend some time nurturing your account and getting involved. Don’t forget, for many of the places above where you can further publish your content, you can send out relevant links to your social media profiles. But how do you avoid having very similar content going out to your social accounts within a short space of time? You simply need to just leave some weeks or months between the original blog post, and the publication of content you have repurposed from it. 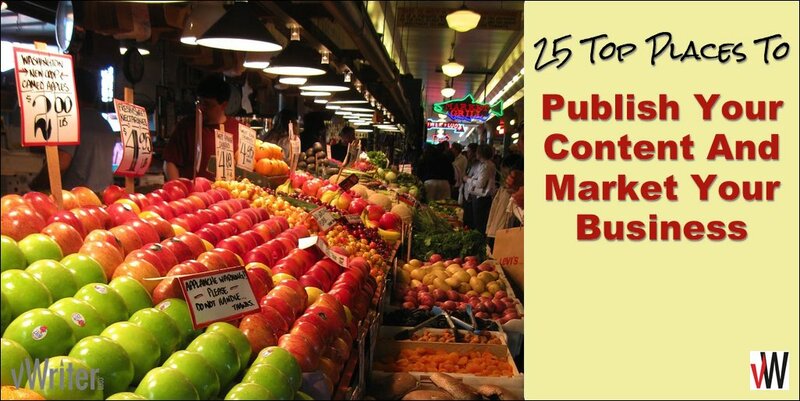 Make it easier in future and get this full list of 25 places to help you publish content across the web. Your information is priceless as usual. Thank you! Hi Steve! Thanks for sharing this informative post, it’s really very helpful to every blogger. It gave me lots of ideas about publishing my content elsewhere, rather than just on my blog. There are so many content distribution platforms, and you listed many of those that are widely used. This is really a great info. Thanks for sharing. Hi Andrew, happy to include your suggestion, thanks for the tip! This is a really useful piece. A step by step easy to do process to get some real SEO juice. 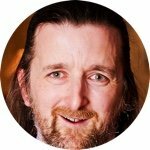 Great article Steve !